THE HEART OF HADIAH TROMP won awards at the Queen Palm International Film Festival! 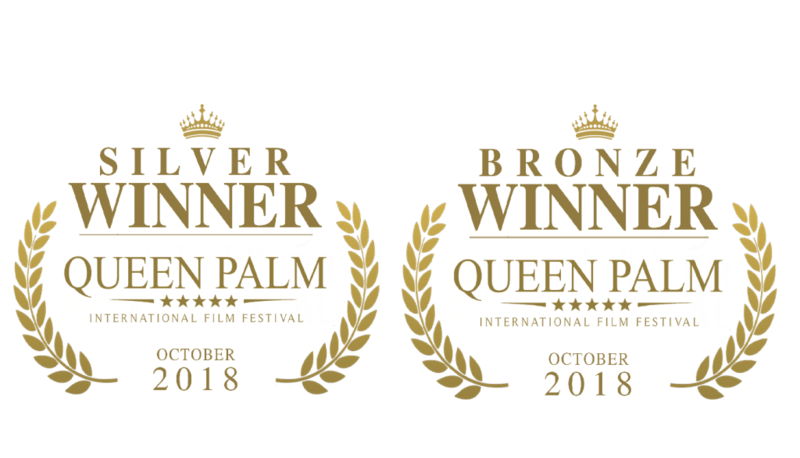 In Palm Springs California, the film received the Silver Award for Best Actress – Feature Film and the Bronze Award for Best Feature Film – Foreign! Congratulations to Chloe Leenheer and Erik de Bruyn on winning these awards!